Though Top Dawg Entertainment’s CEO Anthony “Top Dawg” Tiffith shared the label’s 2016 plans just yesterday, he’s already hinting at the release of a new project to quiet those who had any doubts of the slated releases—and it’s coming as early as this week. Taking to Instagram, Tiffith isn’t willing to confirm when exactly or who it will be from, but he also slyly suggested that it could be released tonight tonight. Yesterday, Tiffith shared TDE’s masterplan for 2016, with releases from ScHoolBoy Q, Isaiah Rasahad, SZA, Ab-Soul, Jay Rock, and even potentially Kendrick Lamar. On the blackboard also are two new artists will have yet to be announced. 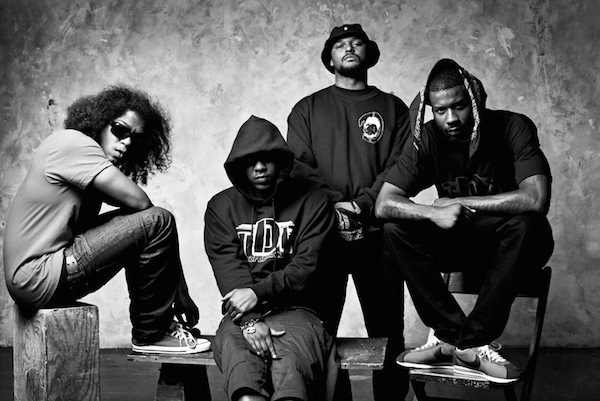 Perhaps most exciting, though, is the potential for a full Black Hippy album, aiming for a 2017 release.